King Canopy's StorGuard Extra-Duty Garage portable shelters are some of the strongest on the market. These portable canopies have added features other portable shelters just don't have such as corner brackets, industrial grade polyethylene fabric skylight and a woven steel cable roof truss system that's purposely built to stand up to the elements and capable of withstanding snow loads. These super strong portable shelters are ideal temporary structures for any and all your outdoor storage needs. 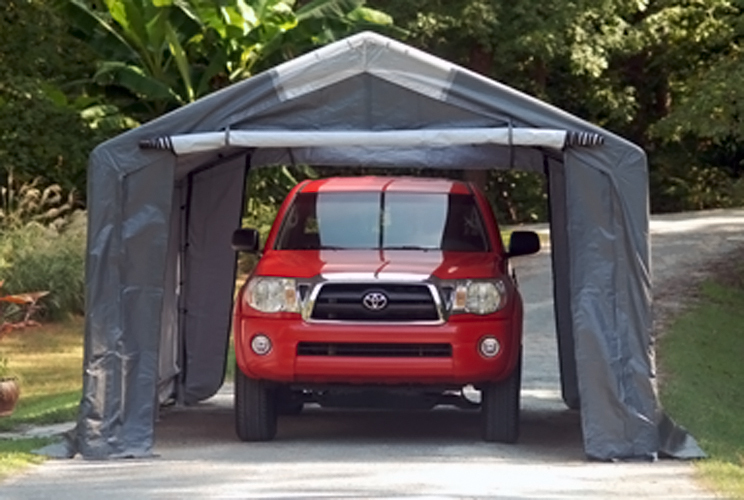 Convenience features like pass-thru access makes storing automobiles, boats, ATV's or personal watercraft a breeze, plus these heavy-duty canopies are easy to assemble yet strong enough to protect your valuable equipment.